Winter in the northern hemisphere and summer south of the equator give January travelers lots of options. Some plan to embrace the snowy season and all that goes with it: skiing, ice skating, cozy fireplaces, and hot cocoa to warm up. They look forward to donning their puffer coats or the latest ski resort fashions and heading to the slopes. For them, Park City is a convenient destination with much to offer including mountains, snow, and a quaint downtown. A bit further away and worth every in-flight hour is Cortina in the breathtaking Dolomites of northern Italy. 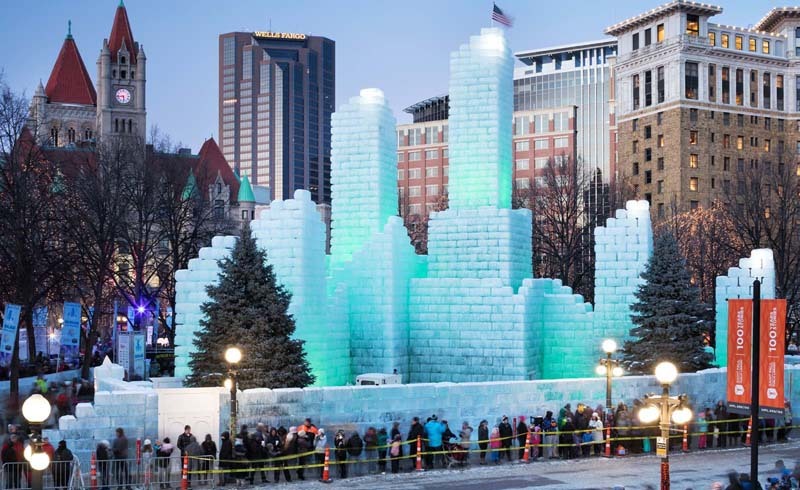 A wintry spot closer to home, St. Paul, Minnesota welcomes January’s cold with an annual festival. 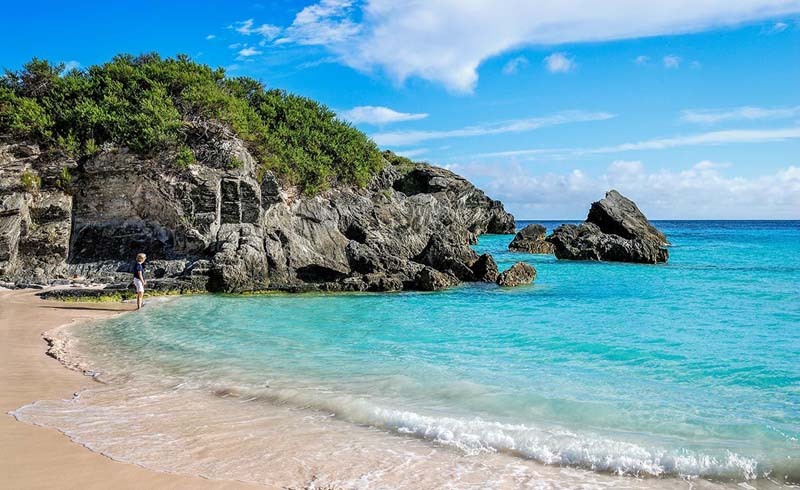 Since chilly climes are not to everyone’s liking, we have included some warm weather getaways where there’s more going on than just a pool to lounge by — although that’s not a bad idea at all. Whale watching in La Paz is a fascinating experience in a beautiful January destination. Hawaii is lovely any time of year, and lush Kauai’s south shore is warm and inviting with lots of activities and lodging options. Sunshine, history, and a lively beach scene make Aruba another great winter escape. Further south, Uruguay offers nightlife, beaches, art, wine, fine dining, and an international crowd also seeking warmth and fun. Luxurious resorts and natural beauty await visitors to Costa Rica’s northwest Pacific region where humpback whales enjoy the season along with tourists. We know that some of our readers will not quite be ready to end their holiday celebrations, so we suggest a visit to Pasadena, California for the annual Tournament of Roses Parade to help them bid goodbye to 2018 and begin the New Year in style. After the events, there’s much to see in Pasadena from museums to a popular restaurant scene. 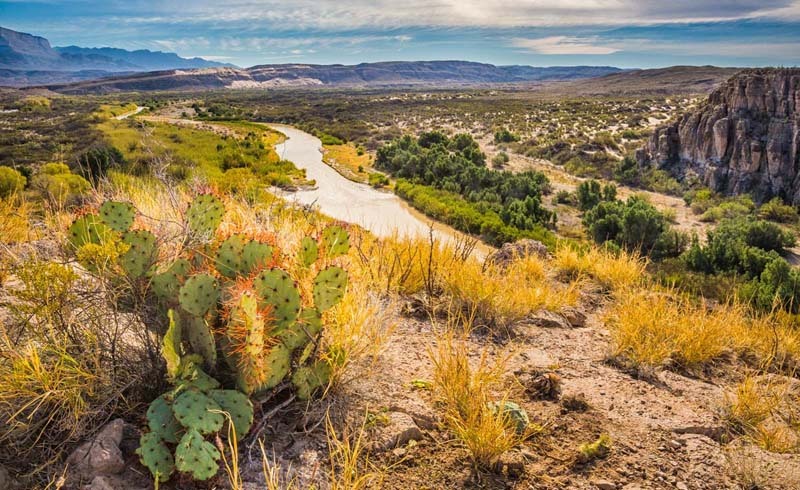 Others might be seeking a respite from crowds, parties, and holiday bustle, so for them we propose a road trip through Texas to remote Big Bend National Park where hiking in the hills, stargazing at its dark skies, and observing nature will provide solitude and time to relax. Another close-to-home idea is a trip to America’s south, the state of Georgia, where history, outdoor activities, beautiful scenery, and temperate weather make January a fine time for a visit. Wherever January takes you, the beginning of the year is ideal for looking ahead and making travel plans. Whether you plan to see the other side of the world or the other side of your state, there’s joy in looking forward to a trip, researching a destination, and experiencing a new place. We hope traveling is on your list of resolutions for 2019. 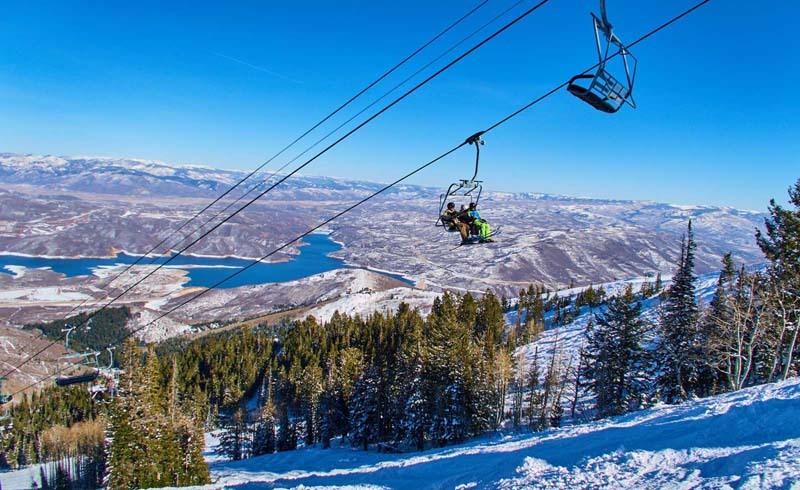 It’s snow time in Park City, and winter activities of all kinds beckon visitors to the mountain community just 32 miles from Salt Lake City. Downhill skiing, cross-country, and snowboarding are just the beginning. Dog sledding through mountain trails can be fun, and the hardy huskies and Arctic breeds are great to see, many of them rescue dogs. Snow biking on special fat tires and snowshoeing along designated trails are other ways to enjoy the winter weather. Several companies rent snowmobiles for exploring the backcountry terrain, and many offer guided tours taking visitors to spectacular vistas and out-of-the-way places. For more thrills, snow tubing is better than ever, especially with lifts back up to the top and lighted lanes for nighttime rides. Quaint Main Street boasts pubs, restaurants, coffee shops, gift stores, and browsing opportunities galore. Live performances at the Egyptian Theater and the annual Sundance Film Festival beginning Jan. 24 are just a few examples of Park City entertainment. Extensive lodging options include the luxurious Montage Deer Valley with guestrooms, suites, residences, spa, and ski-in-ski-out facilities and the historic boutique Washington School House just steps from Main Street. An actual renovated 1889 schoolhouse filled with art, vintage furniture, and antiques, the 12-room inn offers ski valet services and an inviting après-ski fireside lounge. Located in the southern Caribbean Sea, Aruba is only about 15 miles off the coast of Venezuela. Along with the islands of Curacao and Sint Maarten, Aruba is part of the Kingdom of the Netherlands. The warm, dry climate and temperatures in the low- to mid-80s make it an ideal getaway in January, when visitors flock there to escape cold weather. The atmosphere is lively, though room rates are a bit higher, as expected during prime season. Their slogan, “One Happy Island,” fits the friendly citizens and contented guests who relax on white sand beaches, explore the desert landscape, kayak through mangroves, or lounge by a hotel pool. Kitesurfing, windsurfing, deep sea fishing, and horseback riding are other popular activities. Gambling is legal, and casinos at the major resorts have a following of guests trying their luck with slot machines, roulette, craps, blackjack, or Caribbean stud poker. 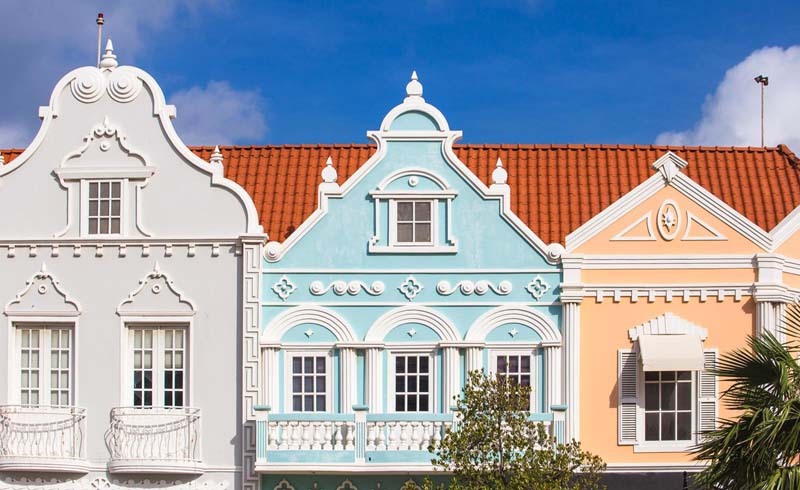 Visitors to Aruba should be sure to spend some time in the capital city of Oranjestad, with its harbor, shops, restaurants, nightlife, and historic buildings including Fort Zoutman, built in 1798 for protection from pirates. Stay at the eco-friendly Bucuti & Tara Beach Resort on pristine Eagle Beach, or for a more off-the-beaten-path visit, Aruba’s oldest town, Savaneta, is home to Aruba Ocean Villas, the island’s only overwater lodging. 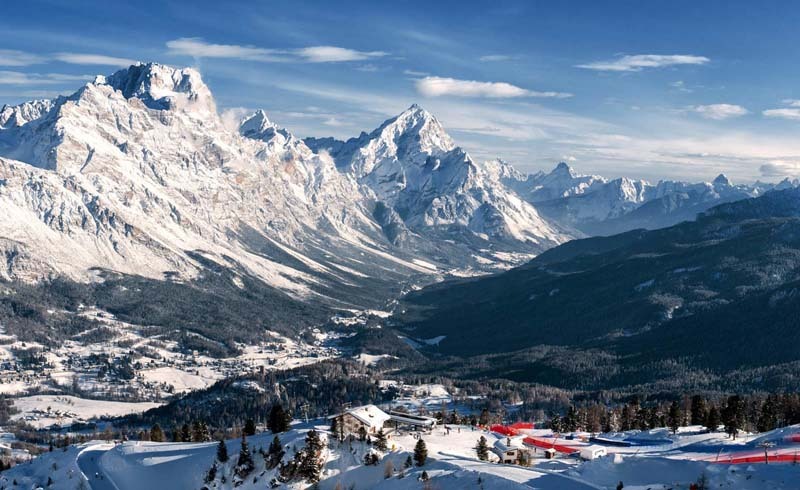 One of the world’s most beautiful ski resorts, Cortina is known as “The Queen of the Dolomites” for good reason. It’s a prime spot in January with a variety of ski areas, gorgeous landscapes, and room options at all levels. An ancient city dating to a Roman settlement, Cortina was the site of World War I battles, and its Outdoor Museum of the Great War testifies to its history. Just a few hours from Venice, making a pre-skiing side trip an attractive option, Cortina was the site of the 1956 Olympic Winter Games, the first Games to be broadcast live on television. The Olympic Ice Stadium remains as a year-round ice rink open to the public. There’s more to do than skiing and snowboarding, with fat-tire biking and Nordic trails, sledding, hiking, and snow-shoeing. One of the most beautiful Nordic ski routes travels along the former Dolomite Railway connecting Cortina with Dobbiaco. For more daring visitors, there’s ice trekking and climbing the frozen rivers and waterfalls, along with several via ferrata itineraries. The Alpine Guides of Cortina can provide advice on these winter sports as well as snow kiting, heli-skiing, and the tamer nighttime snowshoe treks. Après-ski activities are plentiful, and enotecas, restaurants, cafes, and hotel lounges offer delicious food, wines, and cocktails. Lodging ranges from luxurious five-star resorts to bed and breakfasts and inexpensive but comfortable rifugios. This northwest Pacific region is the driest area in Costa Rica, and its short rainy season ends around November, leaving January reliably warm and sunny. Coastal beaches, especially in the resort area on the Gulf of Papagayo, are excellent for swimming, surfing, snorkeling, and scenery. Sport fishing and boating in the Papagayo Gulf are popular as well. Beginning in December, humpback whales from the north migrate to the warm waters of Costa Rica, and they can often be seen from the coast. Several sea turtle nesting beaches are in the area. For a change from the beach and coastal activities, there’s hiking, horseback riding, a canopy zip line, camping, waterfalls, and hot springs in Rincon de la Vieja, a national park in the province with two volcanoes, rivers, streams, several ecosystems, and a variety of wildlife. Santa Rosa National Park is a UNESCO World Heritage site, commemorating the 1856 Battle of Santa Rosa. Tourism is increasing throughout Costa Rica, particularly in this part of the country, with its abundance of natural beauty and diversity. A recent addition to its host of luxurious resorts is the W Costa Rica - Reserva Cochal, set among mangroves near Conchal Beach. With a spa, golf course, pool, and beach club, the hotel is an ideal home base for exploring or relaxing. Liberia International Airport (also known as Daniel Oduber Quiros International Airport) is within an hour from most of the beach resorts. 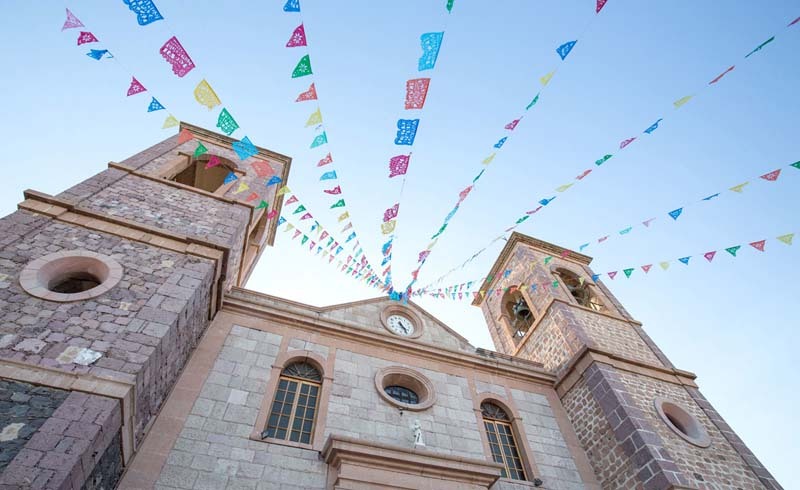 January weather is just about perfect in La Paz, with temperatures in the mid-70s. 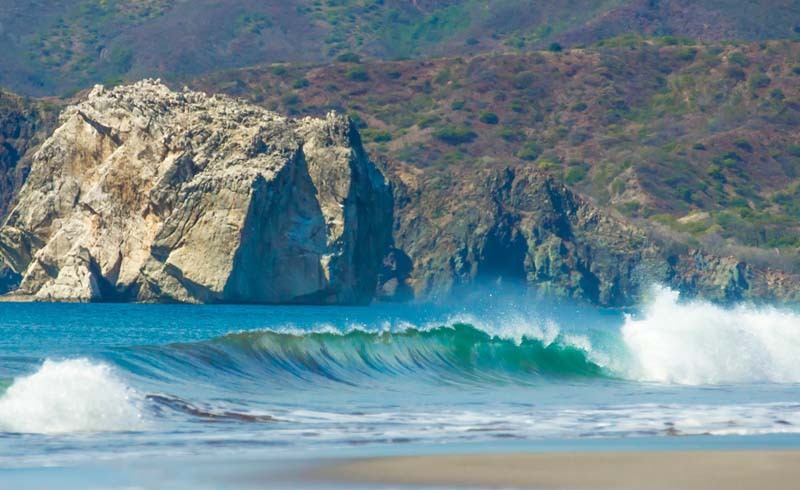 The capital of Baja California Sur on the Baja California peninsula, this charming town is a more laid-back alternative to lively Los Cabos and a favorite of whale watchers. During the gray whale migrating season from December through April, hundreds of whales reach the warm waters of La Paz to mate and give birth. Excursions into the protected lagoons let whale watchers get close to the peaceful mammals for thrilling experiences. Visitors also enjoy the seafront Malecon promenade, with its restaurants, bars, sculptures, and spectacular views. The Museo Regional de Antropologia e Historia provides interesting background on the area’s history, and the Museo de la Ballena (Whale Museum) covers the various mammals that visit Baja California during the year. The Nuestra Señora de La Paz Cathedral, built in 1861, should be on every visitor’s itinerary as well. A popular La Paz experience is snorkeling with whale sharks, which might sound risky, but they’re not harmful to humans. A stay at the CostaBaja Resort & Spa, the only luxury resort in La Paz, will add to a memorable visit. The boutique hotel is ideally situated for ocean, mountain, and marina views and offers a spa, golf course, restaurants, pools, and beach activities. 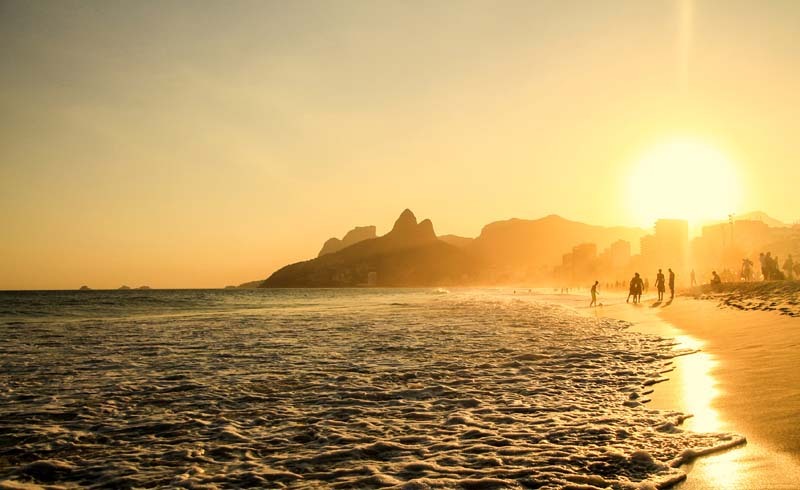 The warm weather and lively social scene attract visitors in January when temperatures reach the 80s and the party atmosphere heats up as well. 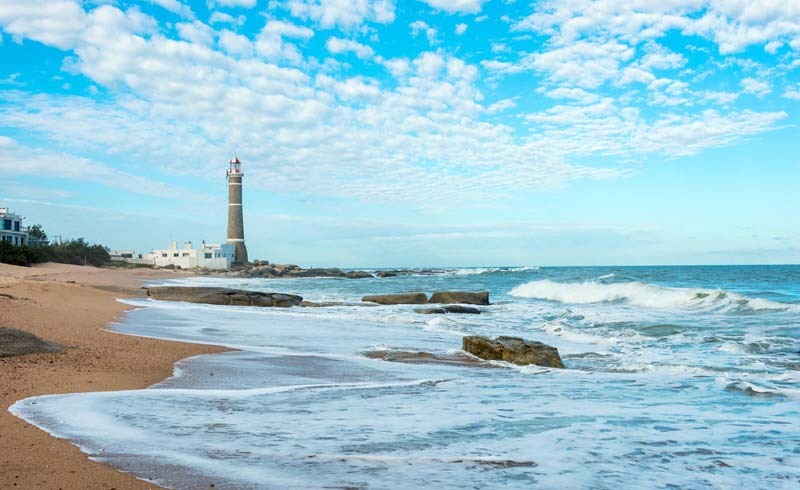 Jose Ignacio, a quiet fishing town most of the year, is catching up with neighboring Punta del Este when it comes to hosting the international crowd, but there’s more than nightlife and lazy days at the beach — although that’s an appealing start. Art lovers will enjoy a visit to the Galeria de las Misiones or a quiet stroll through the Fundacion Pablo Atchugarry, a sculpture garden displaying international works in addition to large pieces by Atchugarry. Punta del Este will host the fifth edition of Este Arte from Jan. 4-8 with examples of both regional and international art. For more active pursuits, there’s kite surfing, horseback riding, fishing, golf, and surfing. Visitors can add wine tasting and fine dining to their vacation with a trip to Bodega Garzon, just 20 minutes from Jose Ignacio. A tour of the state-of-the art winery and dinner at celebrity chef Francis Mallman’s Hotel Garzon & Restaurante Garzon would make a convenient and delightful excursion. Jose Ignacio is about 100 miles from Uruguay’s capital, Montevideo, where Carrasco/General Cesareo L. Berisso International Airport welcomes visitors to the country. A day or so of exploring the historic city before heading to the beach would round out this winter vacation. Visitors enjoy strolling along La Rambla, the city’s seaside promenade, and exploring Ciudad Vieja, with its boutiques, cafes, and street art. 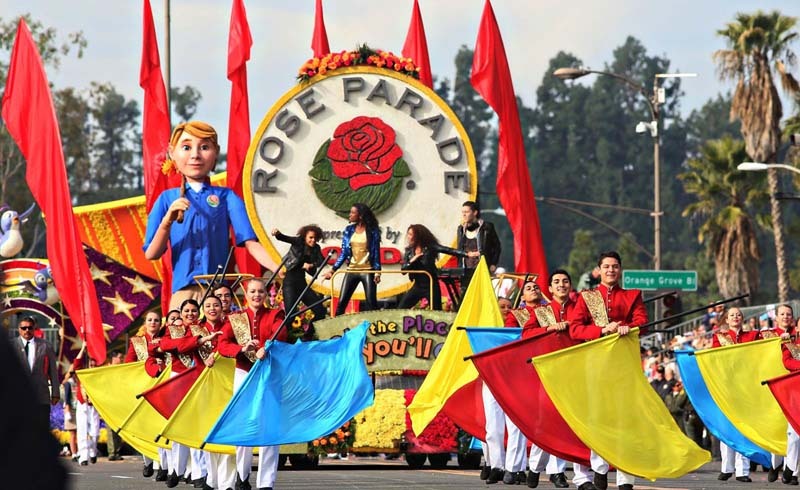 Many travelers’ bucket lists include seeing Pasadena’s New Year’s Day Tournament of Roses Parade up close. Millions have watched on television as the flower-covered floats, elegant horses, and marching bands parade amid the sunshine and mountain backdrop of Pasadena. A great place to start 2019, Pasadena is about 28 miles from LAX and 12 miles from downtown Los Angeles. The post-parade Showcase of Floats on Jan. 2-3 lets visitors fully appreciate the floats’ design and workmanship. (Tip: Buy advance Parade and Showcase tickets online.) Art lovers will want to see the Norton Simon Museum which boasts works by Van Gogh, Picasso, Rembrandt, and more, as well as the Huntington Library, Art Collection, and Botanical Gardens in nearby San Marino. Shoppers will find boutiques, department stores, and the famous Rose Bowl Flea Market (held on the second Sunday of every month), the place for antiques, art, and vintage furniture. Pasadena is a dining destination, with hundreds of restaurants from casual bistros to upscale and historic. The elegant Raymond 1886 opened as a hotel in that year, and is now housed in the original caretaker’s cottage, with a speakeasy-style bar hidden in back. Family-owned Mijares Mexican Restaurant, proclaimed the oldest Mexican restaurant in Pasadena, opened in 1920, and the cheeseburger at Pie ‘n Burger has been a local favorite since 1963. Visitors will find a range of lodging in Pasadena at all rate levels. A good distance from major cities, this remote national park screams “Road Trip!” — a welcome idea after a busy holiday month that may have included air travel. The closest airports (El Paso and Midland/Odessa) are several hundred miles from the park, so you'll need to rent a car if you do fly in. January weather is relatively dry with temperatures in the 50s, perfect for hiking and exploring. The Chihuahuan Desert, about 80 percent of the park, offers many trails at various levels of difficulty. Day hikes in the Chisos Mountains reward hikers with sightings of white-tailed deer, rock squirrels, lizards, mountain lions, and gray foxes. To the south, the Rio Grande River is home to countless bird species and desert animals. Evidence of human occupation from thousands of years back can be seen in the Hot Springs Historic District where visitors are able to study rock art left behind on limestone cliffs. Big Bend is one of North America’s best places for stargazing, with the least light pollution of any park in the lower 48 states, a benefit of its isolated location. Visitors will thrill to the starry night sky and view of the Milky Way. Lodging is available within the park at Chisos Mountain Lodge and several campgrounds. The Mountain View Restaurant at the Lodge is the only full-service dining spot inside the park, so visitors are advised to plan ahead. Called the “Garden Island,” Kauai is the northernmost island of Hawaii, home to tropical rainforests, waterfalls, rivers, and lush greenery. Although the island is small, there are distinct areas that vary by climate and vegetation. The north shore is largely inaccessible by car, with the Napali Coast lined with tall cliffs and sea caves. Historic Hanalei Town offers shops, cafes, and a magnificent view of the island’s taro fields from Hanalei Valley Lookout. 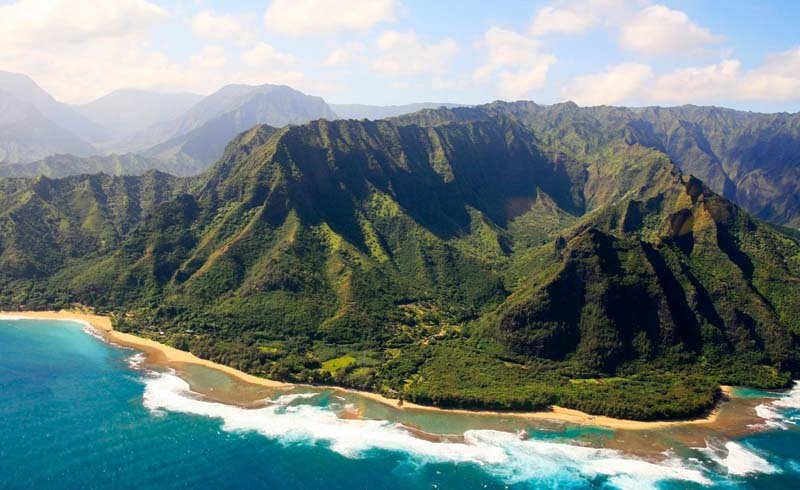 The most populated district is Kauai’s east side, with groves of coconut palms, resorts, gorgeous beaches, and the 20-mile-long Wailua River. Waimea Canyon, on the island’s west side, is called “Grand Canyon of the Pacific,” a popular locale for hiking and scenic views. In the small town of Waimea, a statue of Captain James Cook commemorates his first landing in the Hawaiian Islands in 1778. The sunny south shore receives less rainfall than other parts of the island and boasts the popular beaches and resorts around Poipu. Lodging in the area includes Ko’a Kea Hotel & Resort, with oceanfront rooms and beachfront fire pits. The Lodge at Kukui’ula offers a choice of accommodations with access to the amenities of The Club at Kukui’ula including golf, spa, fitness center, fishing, restaurants, and kids’ club. Kauai’s airport is Lihue on the southeast coast of the island. A great way to slow down after the busy pace of December would be a drive through the southeastern United States. Greensboro and the surrounding towns, about an hour from the airport in Atlanta, offer country roads along historic routes lined with dense woods and side trips to well-preserved antebellum mansions. Near Greensboro on GA15, the Elder Mill Covered Bridge, built in 1897, is a picturesque piece of history set over a quiet creek. The Greensboro Antique Mall is a favorite shopping spot among visitors and locals for crystal, dinnerware, books, vintage clothing, jewelry, and antique furniture. Located downtown in the 1860 “Big Store” building, it houses 11,000 square feet of treasures, an antique elevator, and some say a resident ghost dating to the building’s time as a funeral home. The quaint town is also home to historic buildings like the Old Gaol (jail), believed to be the oldest masonry in the state, and several museums including the Eagle Tavern Museum, a former stagecoach stop. 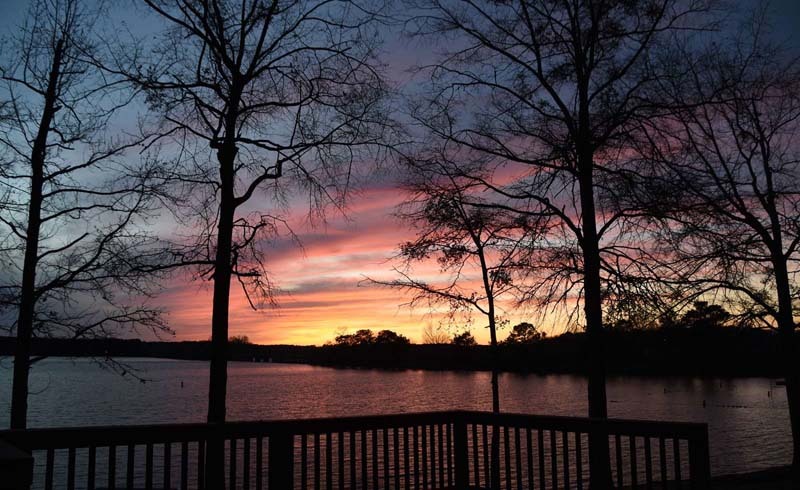 The Ritz-Carlton Reynolds, Lake Oconee is perfectly situated on the lake making fishing, swimming, boating, and paddle boarding fun and convenient. The elegant hotel offers a spa, year-round heated infinity pool with a spacious deck, restaurants, six golf courses, and for golf instruction and club fitting, the Taylor Made Kingdom of Golf. Another bonus is access to the exciting Sandy Creek Sporting Grounds, 100 acres of outdoor adventure featuring a 20-station sporting clay course, shooting instruction, air rifle range, archery, fishing, kayaking, and hiking. This city does not shy away from its reputation as a very cold place in winter but instead celebrates it annually with a giant Winter Carnival that dates back to 1885 when an East Coast reporter referred to St. Paul as “another Siberia.” The Carnival became an official tradition in 1946, and 2019’s will be held from Jan. 24-Feb. 3. Parades, ice sculpture competitions, live entertainment, and all manner of snow-related events attract locals and visitors, happily braving temperatures that barely reach the teens. With a backdrop of the historic Landmark Center, built in 1902 as a federal courthouse and post office, the annual Wells Fargo Winter Skate Park hosts a free outdoor skating rink, open until Feb. 3. There’s a half-marathon, 10K and 5K fun runs, a robotic snowplow competition, and coronation of the Queen of the Snows and her court of Wind Princesses. Visitors can warm up indoors at one St. Paul’s many museums. The Twin City Model Railroad Museum, with interactive train exhibits and art, features “Night Trains” through February, a winter wonderland of miniature trains and lights. The Science Museum of Minnesota, Children’s Museum, Minnesota History Center, Museum of American Art, and Cathedral of Saint Paul should also be on visitors’ itineraries. Set on the Mississippi River, St. Paul is Minnesota’s capital and home to the Summit Avenue’s five-mile stretch of well-preserved Victorian mansions, one of which was the home of F. Scott Fitzgerald.